Why Are Bedtime Routines So Important? - Adelberg Montalvan Pediatric Dental PC & Orthodontics too! Bedtime routines promote healthy sleep patterns. Studies have shown that parents who set a regular routine for winding down at the end of the day set their children up for success in the sleep department. Essentially, it trains their body when it should be awake and when it should sleep, resulting in well-rested, well-behaved angels! Bedtime routines promote healthy living, period. Being well-rested means your child’s immune system will be in better shape to ward off illness. But, that’s not all! According to NPR, “a survey of 1,000 children showed that irregular bedtimes are linked with difficulties such as hyperactivity, acting out and being emotionally withdrawn.” So, a healthy bedtime routine can promote a more alert, level-headed child. Bedtime routines teach your children to be responsible. As they get older, your children will undoubtedly be given more and more responsibility to manage. So, why not start them young? Getting children in the habit of making a routine and sticking to the tasks at hand will only help them be a responsible adult in the long run. Bedtime routines make remembering to brush easy. 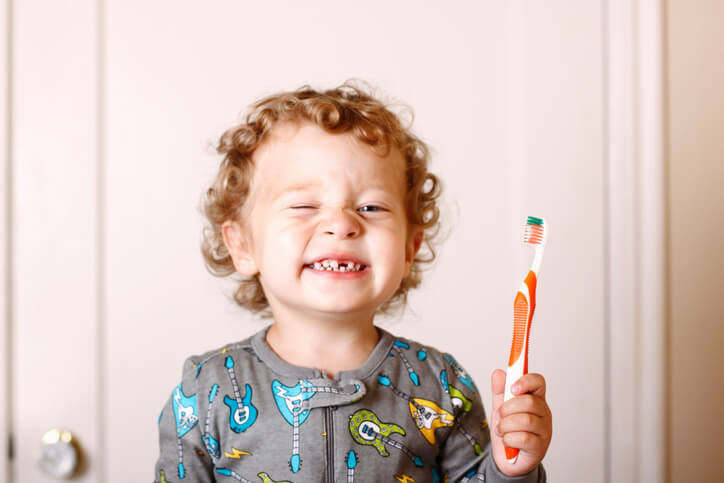 Let’s face it, tooth brushing is probably not your child’s (or your, if we’re being honest) favorite task. But, it’s an important one nonetheless. 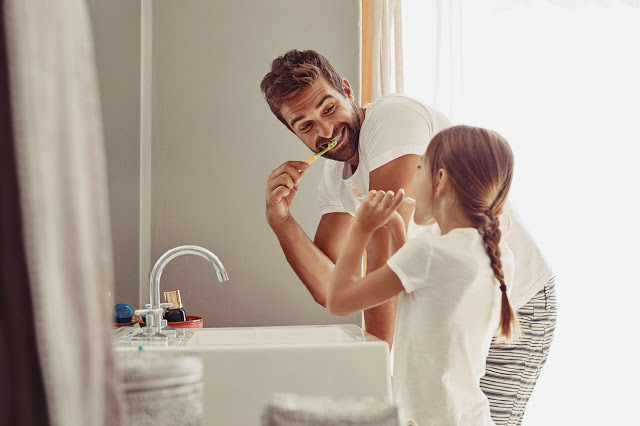 Adding tooth brushing to your child’s evening repertoire will ensure they are brushing before bedtime and will set them up for a lifetime of dental well-being too! Speaking of setting schedules, is it time to schedule your child’s bi-annual cleaning and exam? If so, reach out to one of our three Long Island locations today! We offer pediatric dental services in Massapequa Park, Nesconset, and West Islip.